Lightstream provides personal secured and unsecured loans of up to $100,000, which is a higher amount than most lenders offer. Unusually, APRs vary according to the purpose of your loan and not just depending on your financial profile, but there are very few limitations to what you can spend your loan on. LightStream’s low APR and flexible terms are highly appealing but only open to borrowers with good or excellent credit. LightStream combines an attractive APR and flexible terms with a fast application and loan approval process that could see the funds arriving in your account as soon as the same day. This makes it appealing to any borrower, but the loans are only on offer to customers with good or excellent credit ratings. 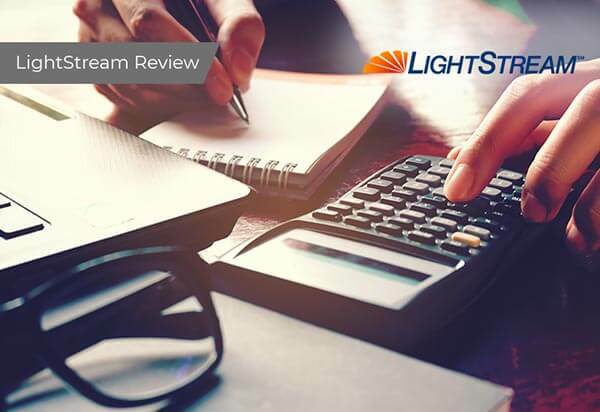 LightStream makes a point of rewarding borrowers who have worked up a good credit history with its innovative lending products and proprietary technology, allowing it to offer highly competitive, fixed rate financing. LightStream also offers a much larger maximum borrowing amount than most online lenders, making it ideal for borrowers with good or excellent credit who need a large loan amount in a hurry. LightStream doesn’t charge any fees for its loans. That includes no origination fee, application fee, or early prepayment penalties. You can make extra payments and pay off your loan as early as you’d like without extra charges. LightStream also offers a high maximum loan amount of up to $100,000. If you’re facing an emergency or need funds to cover a large purchase, a loan from LightStream is likely to cover all of your needs without leaving you to search for top-up funding elsewhere. Although you do have to tell LightStream the purpose of your loan and you are obligated to only use the funds for that purpose, there are very few restrictions. LightStream includes loans for home improvement, boat financing, timeshare financing, and pre-K to 12th grade education. LightStream’s entirely online loan approval process is fast and simple, so even large loans can be available in your bank account on the same day that you apply. LightStream is confident that it offers competitive rates that can't be beaten, and as an example, as part of its Rate Beat Program LightStream says it will beat any APR presented by any other lender by 0.10 percentage points. Each loan page on the website displays rate ranges and potential monthly payments depending on loan amount and terms length before you apply or submit sensitive information so you won't be in for any surprises. Also, if after you receive your loan you are not completely satisfied, LightStream promises to send you $100. It takes just minutes to fill out and you’ll get a response quickly. Once you’ve received your loan agreement you just need to sign it and send it back to set up your loan. Funds can arrive in your account the same day. LightStream permits joint applications too. Evidence of the ability to save via savings accounts, retirement savings, etc. LightStream offers flexible repayment terms ranging from 24 months up to 144 months*, depending on the loan purpose and amount. LightStream charges an APR* of from 4.99% - 16.99% w/Autopay. The lowest APR rates are available only to borrowers with excellent credit, which is not surprising. LightStream also gives the lowest rates to customers who pay using AutoPay – otherwise rates are all 0.50% higher than quoted. LightStream’s interest rates vary depending on the purpose of your loan, so a new auto purchase loan has a lower range of interest rates than a medical expense or credit card debt consolidation loan. Because LightStream doesn’t charge any fees for extra payments or early prepayment, you can pay off your loan as early as you are able to. LightStream shows a commitment to protecting borrowers’ security. The website is entirely covered using HTTPS technology and with Norton security protection. LightStream uses industry-standard encryption and firewalls to safeguard borrower information and only gives employees access to your data on an as-needed basis. LightStream is open and transparent about what it uses your data for and won’t sell it to any third party or share it outside of its business partners. LightStream adheres to the COPPA regulations. LightStream’s website is well organized and includes plenty of important information in an easy to find manner. The FAQs are extensive and easy to read. Customer service is available through phone and email during extended working hours but there is no 24/7 customer support or live chat. LightStream does sometimes struggle to communicate clearly with customers, such as when an application is straddling the line between rejection and acceptance. LightStream provides loans with APRs from 4.99% - 16.99%, making it an extremely competitive choice compared to other top lenders in the industry, such as SoFi​. Both lenders offer similar loan amounts, but LighStream pulls ahead with it's lower minimum of 24 months. When compared to LendingClub, LightStream has more flexible loan terms when it comes to loan amounts, the length of the loan and also offers more attractive APRs. LightStream helped to pioneer online lending in 2005, and is backed by SunTrust Banks, which has more than 125 years experience providing financial confidence. Overall, LightStream is a user-friendly, online, personal loan platform that is good for borrowers with excellent credit who need large loans fast. The flexibility of terms and loan purposes, and very competitive APRs, make it stand out among online lenders – but only for those who qualify. *Your loan terms, including APR, may differ based on loan purpose, amount, term length, and your credit profile. Rate is quoted with AutoPay discount. AutoPay discount is only available prior to loan funding. Rates without AutoPay may be higher. If your application is approved, your credit profile will determine whether your loan will be unsecured or secured. Subject to credit approval. Conditions and limitations apply. Advertised rates and terms are subject to change without notice. Payment example: Monthly payments for a $10,000 loan at 4.99% APR with a term of 3 years would result in 36 monthly payments of $299.66. SunTrust and LightStream are trademarks of SunTrust Banks, Inc.
** You can fund your loan today if today is a banking business day, your application is approved, and you complete the following steps by 2:30 p.m. Eastern time: (1) review and electronically sign your loan agreement; (2) provide us with your funding preferences and relevant banking information; and (3) complete the final verification process.